Don't like to use Shampoo? So, this is the soap you need. Buy Pathmeda Hair Wash soap specially made to help you wash your hair effectively. A gentle soap which cleanses oil, dirt from scalp effectively without damaging your hair so that your scalp can breathe. 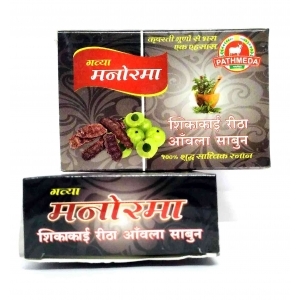 Pathmeda Manorma Hair Wash Soap comes with benefits of Shikkakai and Reetha which keeps your long lasting soft.